AST Sight Gauge with Audible Alarm (1350) | Clay & Bailey Manufacturing Co. Combination of #1313 Sight Gauge and #1400 Audible Alarm allows for liquid level determination and Overfill of an AST through one opening. 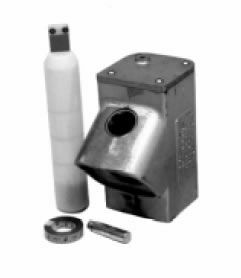 The Sight Gauge is mechanical in operation and reliably monitors the liquid level of an AST. 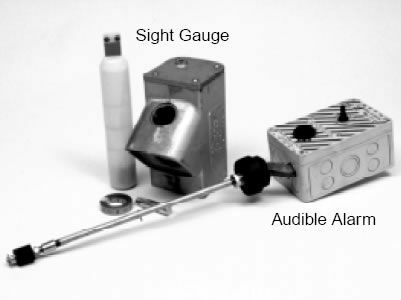 Combining the Sight Gauge with the #1400 Audible Alarm helps meet current regulations for AST Overfill Prevention. SKU: 1350-03-3000. Categories: AST Equipment, Sight Gauge.